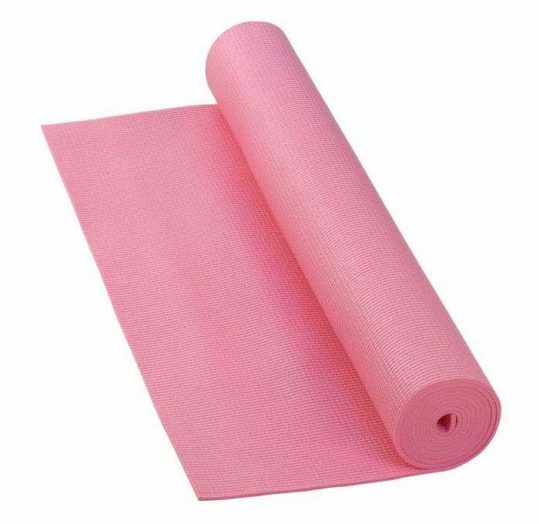 Pink Yoga Mat for training and abdominal exercises and any exercise you perform that you desire. High quality mattresses for homes and sports clubs. High quality within a series of sports tools provided by the shop to challenge you at a perfect price for everyone. Not only for yoga exercises, but for lengthening exercises, strength exercises, endurance exercises for the abdomen and lower part, and many other exercises. Suitable for sports clubs and houses. A yoga mat is a custom-made mat that helps in yoga to prevent hands and feet from slipping while exercising. They are also known as non-slip mats, non-sliding mats or sticky mats. Exercise mat. Offers you one of the finest versatile yoga mats. Made of natural jute and rubber. Rubber-based mattresses may have higher layers of fine fibers.